Any time an event, business facility or construction site is in need of dependable porta toilet, hand wash station or restroom trailer rentals, the Clear Lake community calls upon the exemplary services of Texas Waste, Co. – and for a good reason! We’ve built a solid reputation around our business by owning, renting and maintaining all of our sanitary stations in-house. In fact, our full-service, same day approach is one of the many reasons why porta potty brokers choose to work with us. The health of their business depends on the quality of support received by their porta potty provider. Brokers with clients in the Clear Lake area utilize Texas Waste Co. time and again because our stations are clean, our service is friendly and we’re a company that can be relied upon for pre-scheduled or same day porta potty rentals. We’re also fair and transparent about our pricing structure. No hidden costs here. Just honest, dependable and critically clean porta potty rentals, hand wash station rentals and restroom trailer rentals. Because your business must remain a clean and professional place, your construction site deserves safe and sanitary amenities and your special event should be fun and friendly, there is Texas Waste Co., where exceeding your expectations is part of the job! In 1880, James Marion West became the first settler of Clear Lake, Texas. When oil was discovered in 1938, West sold the land to a company that would later become known as Exxon Mobile. Clear Lake would eventually become known for its construction of the Johnson Space Center. It is also home to icons like ‘Booker T’, a well-known WWE wrestler, MLS player Bobby Burling and Ellison Onizuka, an astronaut who was sadly killed. If your looking for the best service and price for porta pots in Clear Lake, TX we have them. 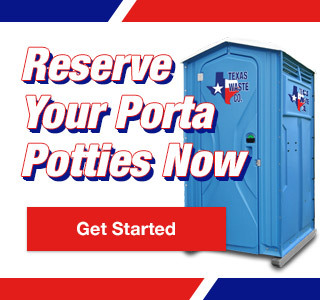 Clear Lake – Porta Potty Rentals Available Now!